The SCCF Sea Turtle Program surveys 18 miles of beach, from the Sanibel lighthouse to Blind Pass, every morning from April – October. Over 100 volunteers help with the daily search for tracks that the sea turtle left behind when she emerged from the sea the night before. Sometimes sea turtles go back to the water without laying eggs, which is known as a non-nesting emergence. If we determine that the turtle successfully laid eggs, the nest is watched over until the eggs hatch and there are signs of the hatchlings crawling to the Gulf. Storms, humans and predators may disturb or destroy the nests, reducing their survival. After the nests hatch they are evaluated to determine the number of hatchlings that successfully emerged. An impressive 654 nests were laid on our beaches in 2015 (522 on Sanibel and 132 on Captiva). 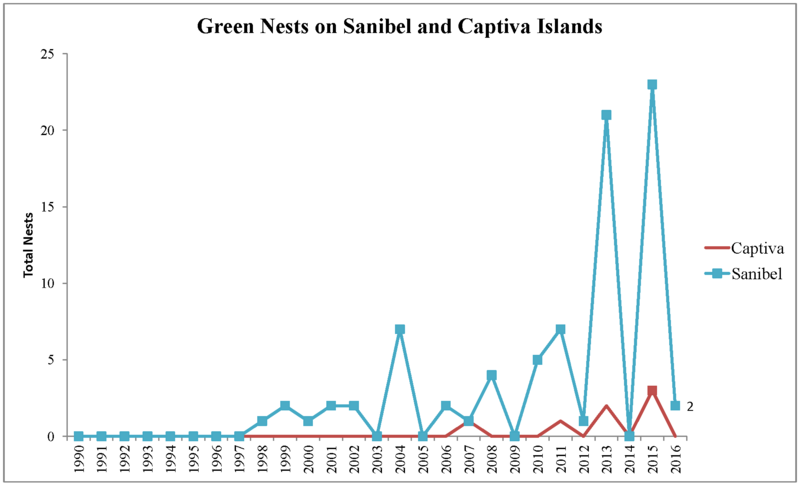 This is the highest number of nests ever recorded on Sanibel, making 2015 the second record-breaking season in a row. The data presented here should be considered preliminary in nature. All data and figures on this website remain copyright of SCCF and may not be used or referenced without the explicit consent of SCCF. Green sea turtles also laid a record 26 nests on our beaches in 2015. 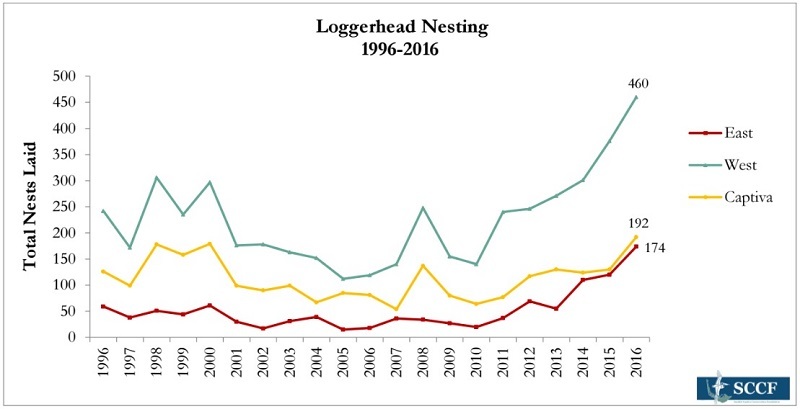 The previous record for greens was 23 nests laid in 2013. For only the second time in Sanibel’s 50+ year history of sea turtle monitoring, a leatherback nest was documented in May, 2015! 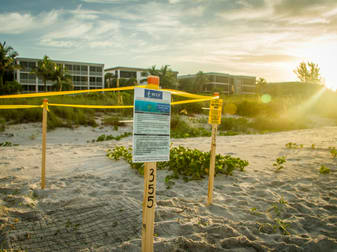 The other leatherback nest recorded on Sanibel was laid in June of 2009.